Julie was on her own for 4 weeks. She bounced around from relative to relative like a displaced vagabond. Eventually, she was reunited with her husband in a Federal Emergency Management Agency (FEMA) trailer. The trailer was behind a prison. "I could see the inmates play basketball from my kitchen window," Julie recalls. Perhaps not the most ideal environment, she soon went into labor. 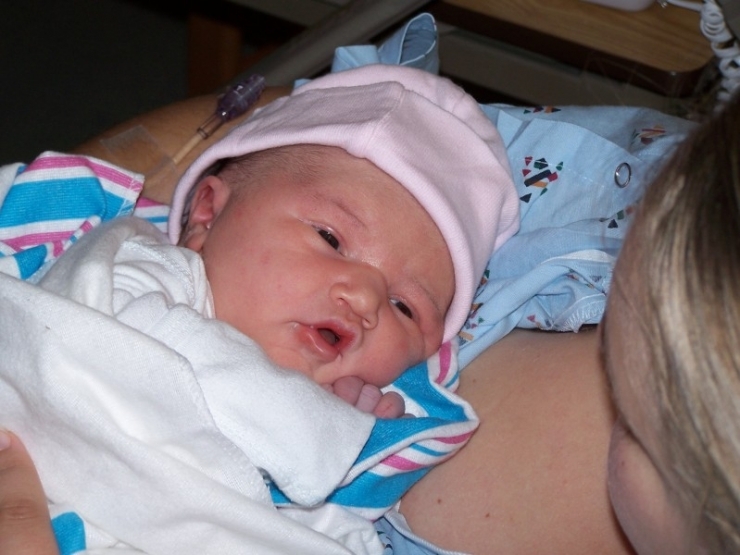 Chloe Powers was born on November 7, 2005. The FEMA trailer was more than a little cramped, but it was the first place Chloe came home to. "Chloe's first bed was next to the stove," Julie remembers. 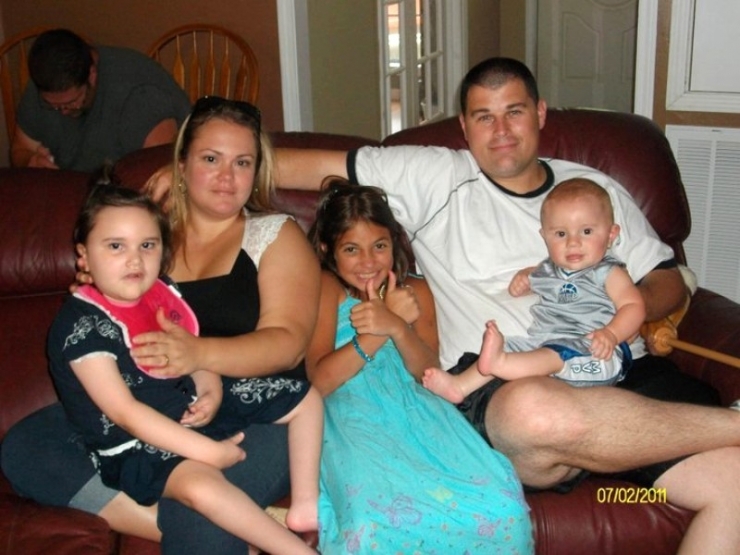 It was a stressful time for the Powers family, but after everything they had been through, they were just grateful to have a roof over their heads. Little did they know, their challenges were far from over. Nine months later, they said goodbye to the FEMA trailer and moved into a house. That's when Julie noticed that Chloe was not hitting her milestones. She took Chloe to a doctor. Numerous tests were run, everything from MRIs, CT scans, muscle and nerve biopsies, to blood tests. The tests were inconclusive and took a toll on Chloe. She became afraid of hospitals and didn't trust anyone in scrubs. The specialists had one more test they wanted to perform. Julie drew the line. If the test was inconclusive, she intended to cease all testing. She just wanted to focus on taking care of Chloe. Fortunately, the final test provided the answer they were looking for. 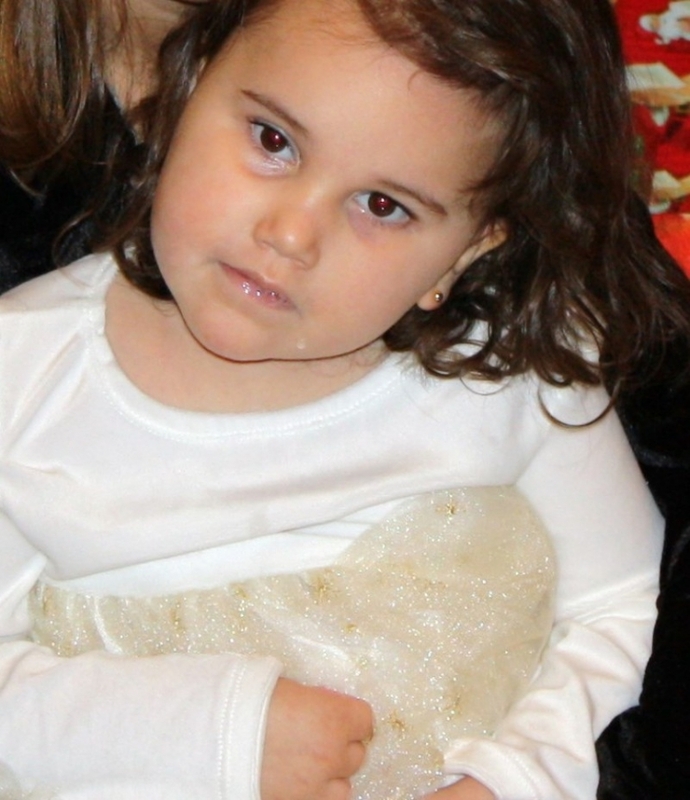 Chloe was diagnosed with Rett Syndrome. 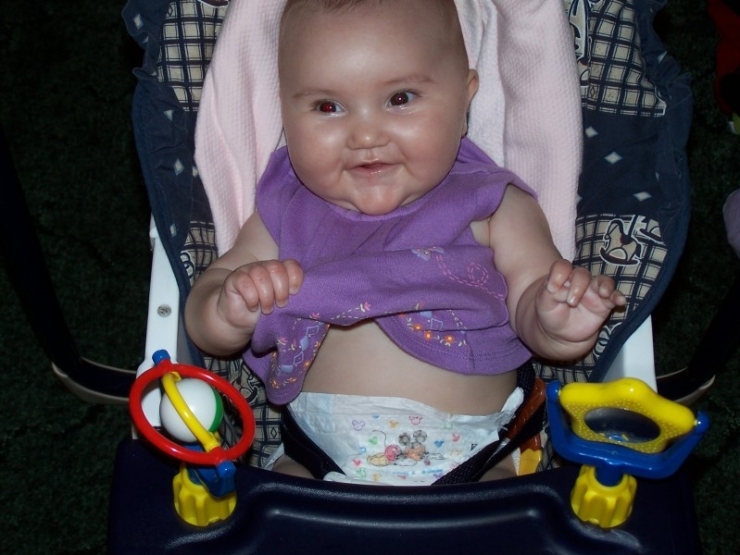 Rett syndrome is a progressive neurodevelopmental disorder that almost exclusively affects females. Symptoms can vary from person to person. 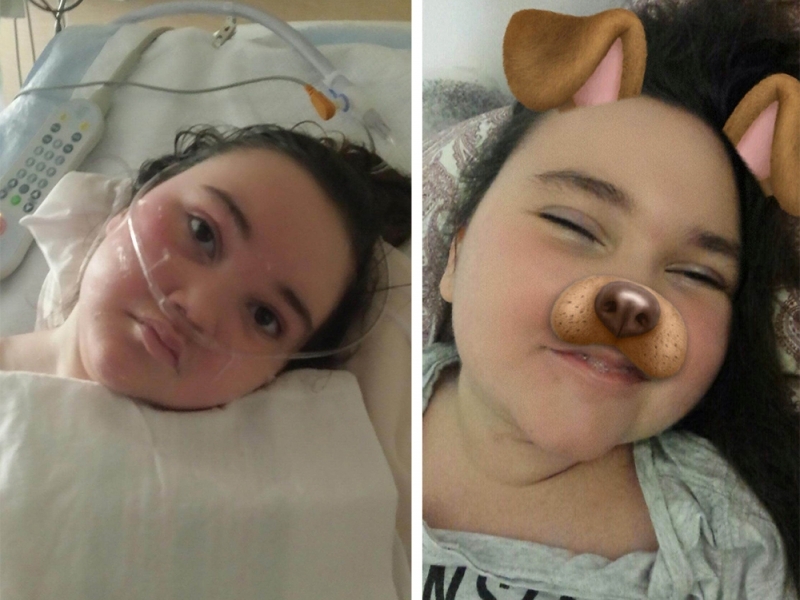 Chloe is nonverbal and suffers from weak head control, poor motor function, compulsive hand movements, tremors, dysphagia, severe digestive problems, orthopedic abnormalities, fragile bones, scoliosis, anxiety, impaired circulatory function, and seizures. As Julie puts it, "Imagine the symptoms of autism, cerebral palsy, Parkinson's, epilepsy, and anxiety disorders all in one." Imagine the symptoms of autism, cerebral palsy, Parkinson's, epilepsy, and anxiety disorders all in one. Perhaps the cruelest symptom of Rett Syndrome is that infants generally develop normally for about 7 to 18 months after birth. Then they quickly regress. 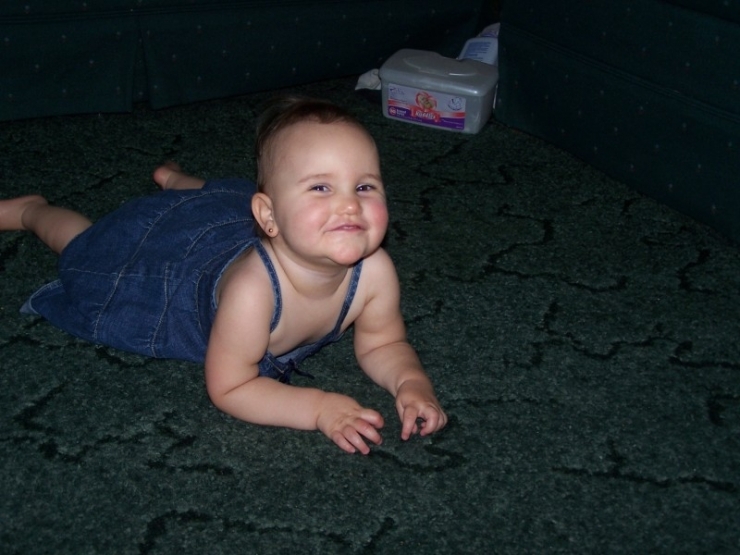 When Chloe was an infant, she babbled. 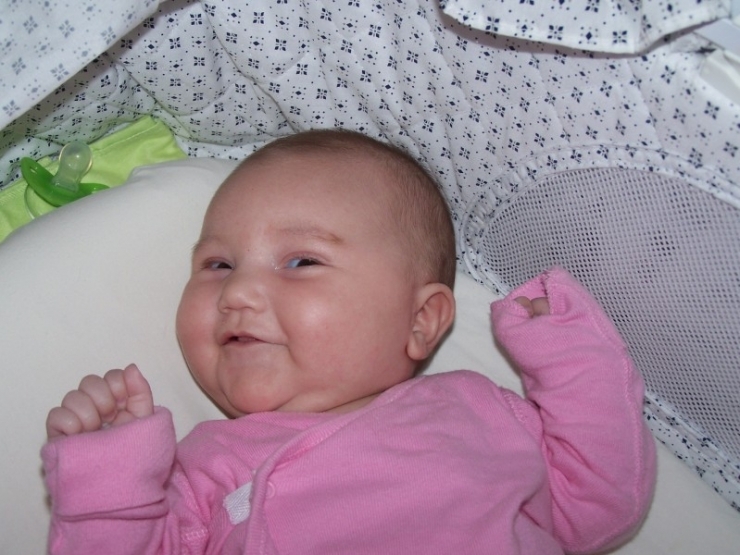 "I was so happy when 'mom' was her first word," Julie explains. "I had no idea it would be her last." Chloe stopped being able to speak at about 18 months. "It broke my heart. I could look into her eyes and know she wanted to tell me something. To say, 'Mom, I love you.' I wanted her to say it so bad, but she couldn't." Chloe is 8 years old now. In addition to an older sister, she also has a younger brother. Transporting Chloe is extremely challenging and risky. Julie wants to provide the most for her children. She wants to take them on vacations or to the zoo, but with their current transportation method, Chloe would be left behind. It is too dangerous to transport her in a typical vehicle. They need an ADA van. They need the Chivers. 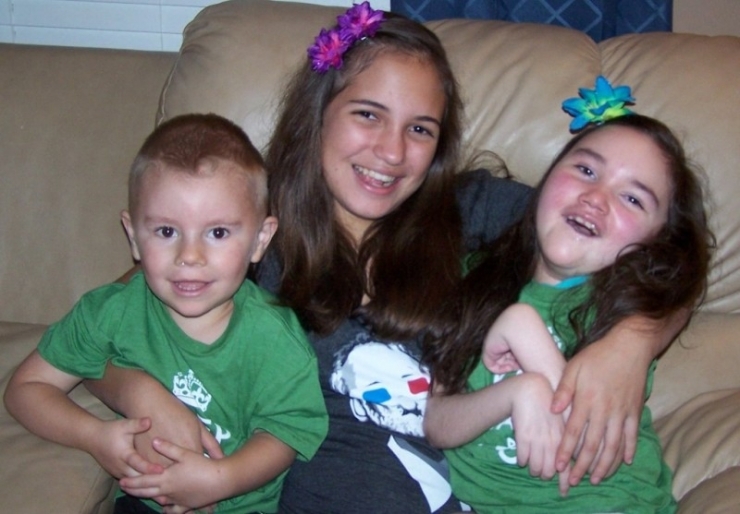 We are proud to announce that Chive Charities is providing the Powers family with a $65,900 grant from the Chive Fund! 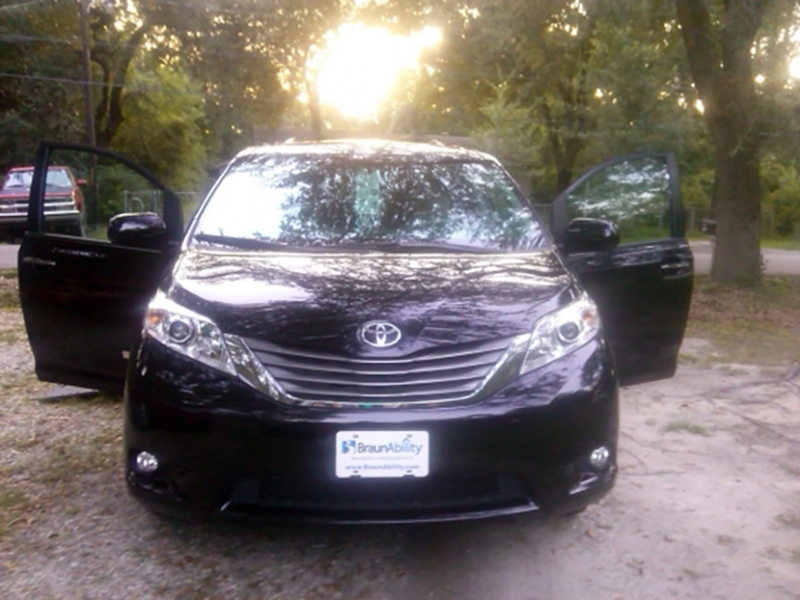 The grant is going toward an ADA van with a ramp! Julie will be able to safely transport Chloe. Chloe will no longer be left out of family outings. Thanks to your continued donations, she will be able to share in the same memories and experiences as her siblings. 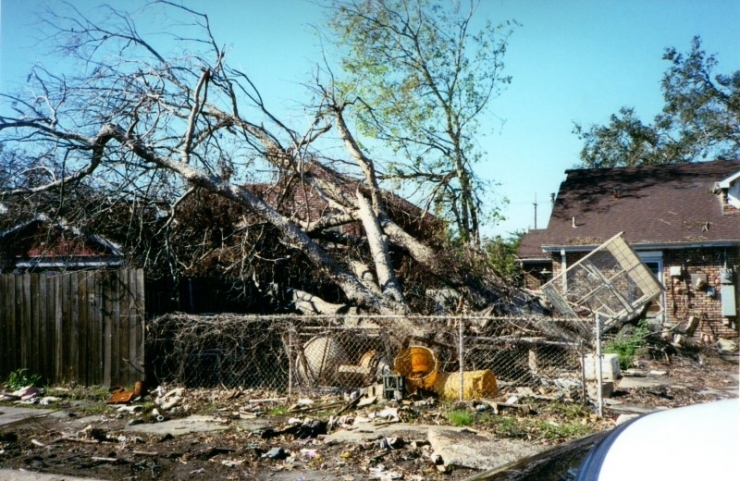 Hurricane Katrina laid waste to the Powers' home and neighborhood. Thousands of people were displaced in the wake of Katrina. FEMA provided trailers for free as shelter. The Powers lived in a FEMA trailer when Chloe was born. Their trailer was located behind a prison. 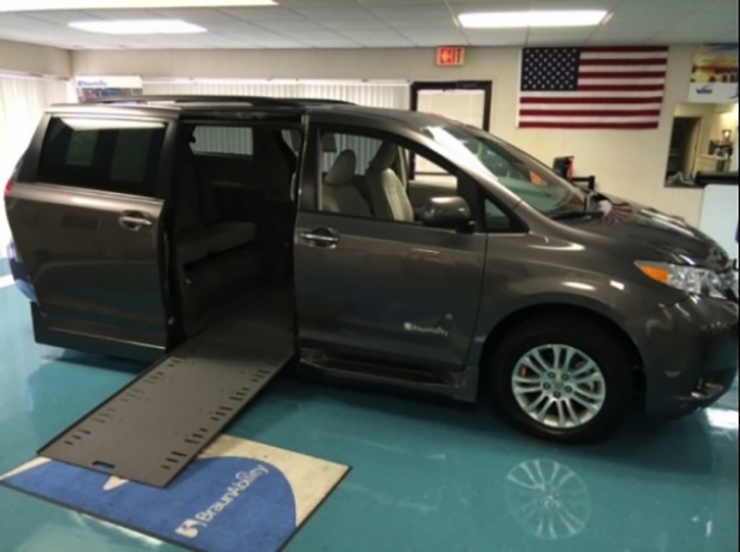 This wheelchair-accessible van with a ramp that will allow for Chloe to be safely transported! 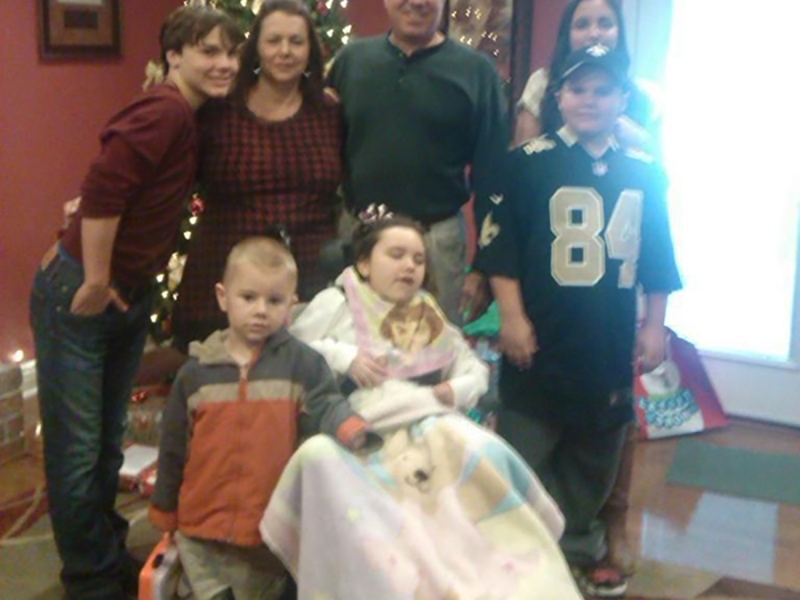 Thanks to your donations, Chloe will always be able to go out with her family! The Powers family have endured a lot. What has made them so strong is their ability to stick together through the challenges they face. There is no cure for Rett Syndrome. The only thing they can do is treat the symptoms. Julie tells us, "Right now, my little girl sits at home with a big sweet smile on her face and sometimes I wonder, Why are you so happy? I think the answer is she loves her family and enjoys being around us." Thanks to your continued donations, Chloe will be able to spend even more time with her family where she will make precious memories to keep her smiling.